I’ve been thinking a lot about how we talk about cancer (and illness more generally) over the past few months, one metaphor seems pervasive, almost inevitable: cancer as an enemy that we battle. 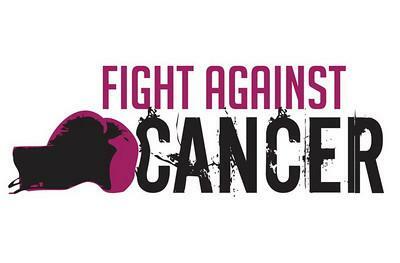 We say that someone is fighting cancer, and eventually every patient will either beat it or lose his battle to cancer. Luckily, there’s been some research on the cognitive consequences of using the battle metaphor. This article by Charlie Cooper talks about work by Elena Semino (which I’m having trouble finding). He writes that her work shows negative effects for many cancer patients when their disease is framed as an enemy to battle. It doesn’t seem surprising that this metaphor might encourage people to feel personally responsible if their health worsens. Semino does say that the metaphor isn’t necessarily harmful, though – if a patient introduces it on his own, it might be a motivator. Semino and her colleagues also found that cancer is often talked about as a journey. For example, living with cancer might mean being on the hard road. This metaphor seemed less potentially harmful, instead instilling a sense of companionship among people with cancer. The conclusions about the effects of both metaphors are based on corpus analyses, so it would be very cool to see a lab version that examines the different inferences people make about the disease when it’s framed as a battle versus a journey. I did find one lab study by Hauser and Schwarz on the war metaphor for cancer, but it examined the effects on healthy people, as opposed to those living with the disease. Specifically, it looked at how framing the disease as an enemy to be fought affects people’s preventative behaviors. A number of behaviors are associated with cancer – unhealthy diet, excess sun exposure, and smoking, for example. The authors distinguished between limitation cancer-associated behaviors (things like limiting unhealthy foods) and engagement cancer-associated behaviors (things like be lean and engage in exercise). The first category contains things we should do less of, and the second contains things we should do more of. The researchers found that when cancer was framed as an enemy, people could think of fewer limitation behaviors, and in a separate study when given the limitation behaviors, they reported less of an intention to limit these behaviors. They report that these findings are consistent with the metaphor because when we’re fighting an enemy, our priority is on attacking, as opposed to limiting certain behaviors. Thus we might expect that the enemy metaphor increased people’s intentions for engagement behaviors, but this was not the case. Further, they found that when they reworded the limitation behaviors to sound more like engagement behaviors, people were more likely to induce them if they had read that cancer was an enemy, suggesting that they avoided endorsing those same behaviors earlier because they were framed as limitation behaviors, and reading the enemy metaphor did not put people in a limitation mindset. Since referring to cancer as an enemy reduced people’s likeliness of following important limitation behaviors and did not affect their intentions for engagement behaviors, the authors conclude that the metaphor seems to bring more harm than good. I’m excited by these preliminary results, and I’d love to see more. Are there other metaphors that might be more productive? How do these metaphors affect people with the disease? Do they affect a person’s treatment decisions? We wouldn’t need to test this on cancer patients, necessarily, but could ask healthy participants to imagine they had the disease and reason abut it accordingly. How do the metaphors affect cancer patients’ caregivers? One difficulty in addressing these questions is that whether people are exposed to the enemy metaphor or not in a lab study, they’ve almost definitely been exposed to it many times outside the lab, and those prior experiences will follow them into the lab. Regardless, the general question of the cognitive effects of disease metaphors seems to be an important and addressable question. In my own conversations, the enemy metaphor didn’t seem appropriate in a lot of contexts – lots of patients go to doctors’ appointments and cope with treatments and side effects, all of which are unpleasant but might not really involve fighting (in fact, minimal fighting seems to be the ideal). Surely, living with cancer requires a lot of mental toughness, but many things require toughness that we don’t talk about as battles (like earning a PhD, for example – I don’t think we’d say that the average person battles grad school). Even the journey metaphor, which Semino’s team found in corpora, seems a little weird. So if we think the battle metaphor is harmful, what’s a better way to talk about the disease? I like the topic. The number of persons having cancer are doubled compared to the previous year. Still medical entities don’t have the cure for the deadly disease. ..